Such a neat way to say Happy Birthday. 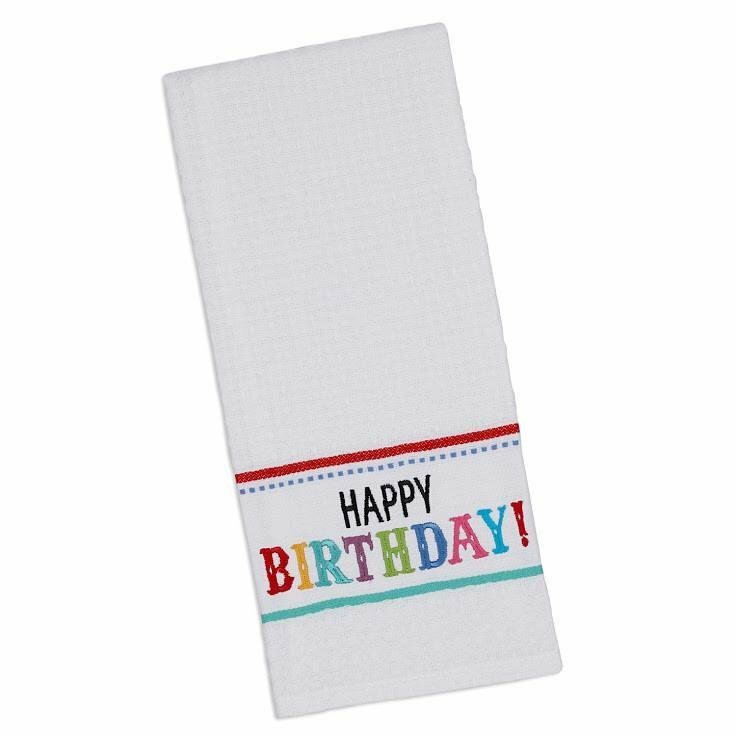 Dish Towel displays Happy Birthday embroidered in bright birthday celebration colors. Dishtowel. 18 x 28". 100% Cotton. Machine wash cold separately, gentle cycle, tumble dry low, low iron.